Air China is a Star Alliance member that releases a good amount of premium reward space to/from North America. Air China flies from New York JFK, Los Angeles, San Francisco and Vancouver to Beijing. They are one of the few airlines to have the new 747-8i and currently fly it to New York and San Francisco. In Asia, Air China is a willing Star Alliance partner for connections to many cities throughout the region. In 2016 Air China took delivery of its first Boeing 787-9 aircraft. This aircraft is configured with business, premium economy and economy seats. The forward cabin has 30 B/E Aerospace Parallel Diamond seats. These seats are the same as on their other aircraft, with an updated appearance. The seat is 21 inches wide and the cabin is configured 2x2x2. The pairs are angled with seats A/C angled left and the other 4 seats angled right. Initial scheduling has this aircraft flying to Los Angeles. Air China provides a virtual tour of their aircraft cabins on their website. Use this link. Below are photos of first and business class seats. The business class seats are the B/E Aerospace's Diamond product. 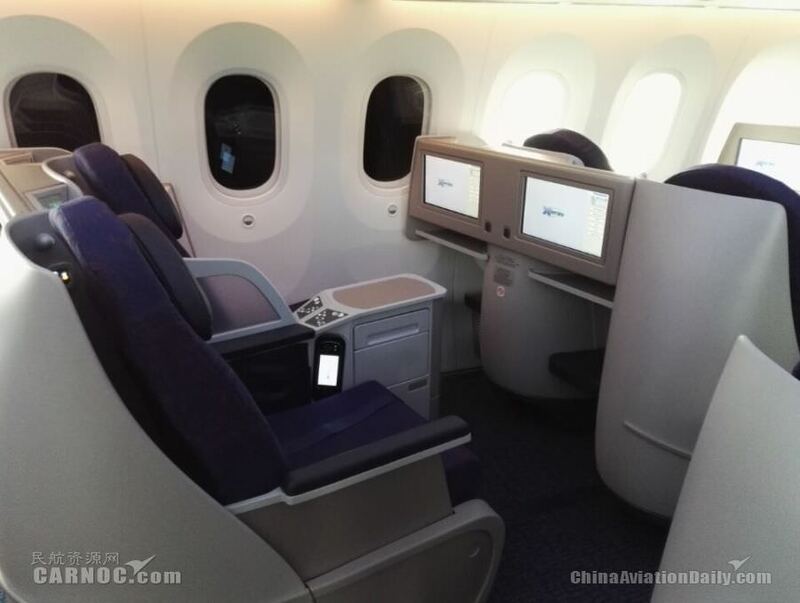 One note: Most A330s have been upgraded to this business class seat with the exception being a few A330-200. If the aircraft is designated as a 330 then it has the old seats. If it's designated 33A or an A330-300 series then it's the newer seats. For more information on Air China, use this link to their website premium services page. Have you flown Air China? Share your experience with others in the comments section.